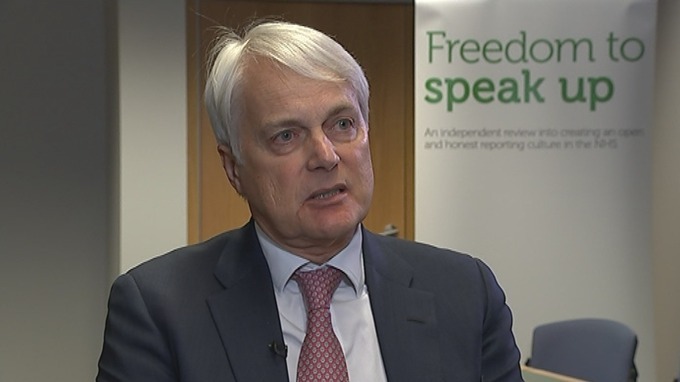 February 2015: The whole world was shocked to hear Sir Robert Francis QC describe a sinister culture of cover-ups and bullying within our NHS. He described a ‘war on the wards’ in which those who dare attempt to draw attention to wrongdoing are routinely intimidated, smeared, silenced and disposed of to protect the lazy, the complacent, the incompetent and the downright evil. Thousands of so-called “Whistleblowers”, long since dismissed into a cruel exile of poverty, unemployment, depression and suicidal tendency, celebrated the first comprehensive and accurate portrait of a long-standing & widespread problem. A convincing warts & all depiction it was, detailed by over 19000 respondents, with criticism for managers, trades unions, Dept of Health, watchdogs & the Legal System, as well as reference to thousands of lost careers & blighted lives. Across the board, there was a welcome for Sir Robert’s accurate insight and sympathetic treatment of a hitherto well-hidden subject. However, after a few hours had allowed deeper digestion, came a chorus of loud disappointment from NHS whistleblowers themselves. A host of high-minded aspirations, contained in the Report’s Recommendations, appear to have been left without means of enforcement. There are to be no teeth, no accountability, no redress, no inquiry into the fates of brave clinicians who reported wrongdoing in the dark age of “Delay, Defend, Deny” that went before. We are all to pin our hopes on new internally-appointed “Speak Up Guardians”. Is there anyone so naive as to hope that Trusts will promote a whistleblower, “snitch, tell-tale, troublemaker”, to these posts? Long queues of smartly-dressed, brightly-optimistic yes-men & yes-women must already be snaking along the corridors to smooth-talk their way into a new opportunity for self-advancement. 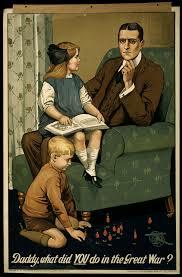 What did YOU do in ‘The Great War on the Wards’, Daddy? Did you report that patients were being abused and neglected? …or did you sit blindly, quietly and politely waiting for bosses to notice what a promising little manager you were? He’s as blind as he can be, Just sees what he wants to see, Nowhere Man can you see me at all? The NHS is an Equal Opportunities Employer. Blind, Deaf & Dumb Applicants are welcome. PUBLIC INQUIRY INTO NHS WHISTLEBLOWING NOW! Revoke PIDA. Legislate for NHS Management Accountability. Punish Secrecy.